SJA Joinery & Property Maintenance have several years of experience and can transform any home throughout Crewe and Cheshire. Whether you are looking for bathroom or kitchen installations in Crewe, our team can always meet your needs. For more information on our services, contact SJA Joinery & Property Maintenance today. 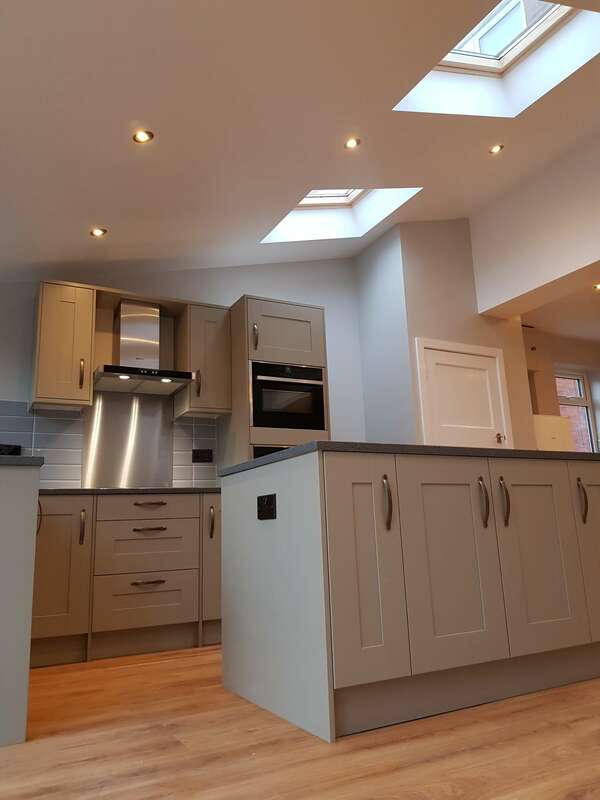 With experience in fitting all kitchens and bathrooms and working with a number of designs, we can help all clients throughout Crewe to transform their property. SJA Joinery & Property Maintenance have over 25 years of experience and can transform any home throughout Crewe and Cheshire. We provide complete property maintenance from kitchens to bathrooms, ensuring your property is always in great condition. We always look to provide a personal service, for our clients, ensuring you are fully satisfied with your property interior and that any alterations you require can be made. Our team are fully qualified to provide a range of services, always offering a high level of quality. We have over 25 years of experience offering our joinery services and working with every aspect of your property, our builders can fit, repair and replace all aspects of your property. You will always be advised regarding the different designs we have available, allowing you complete personalisation over your property as we deal with a number of property features. Our building maintenance also offers a comprehensive service of your property so that your kitchen, bathroom and all other rooms remain in great condition. Your home should always look stylish and with our maintenance, any repairs and restoration that is required can be completed by our team. For more information on our services, contact SJA Joinery & Property Maintenance today. We can provide any advice you require as well as organising a suitable time to visit your property. Call us now on 07817 155 604 or fill in our contact form to make an enquiry. When skirting boards, flooring or doors are beginning to chip or wear away, our joinery service can always create the style you would like. With over 25 years of experience working in the joinery industry, you will always receive high quality services, covering a selection of woodwork for the best possible results, regardless of what joinery you require. At SJA Joinery & Property Maintenance, we always want to transform your home to achieve the perfect design that our customers want. With several years of experience, we have fantastic industry knowledge working with many appliances and property features. Loft and garage conversions are a fantastic option for many homes. If this is something you are considering, our qualified building contractors can always meet your needs with a range of building services available for all conversions. Working with all kitchen and bathroom appliances and providing design, fittings and installations your home can always be transformed into the design you would like.